Cast of high-strength corrosion-resistant Bronze. UL listed for direct burial. Furnished with hex head bolts. 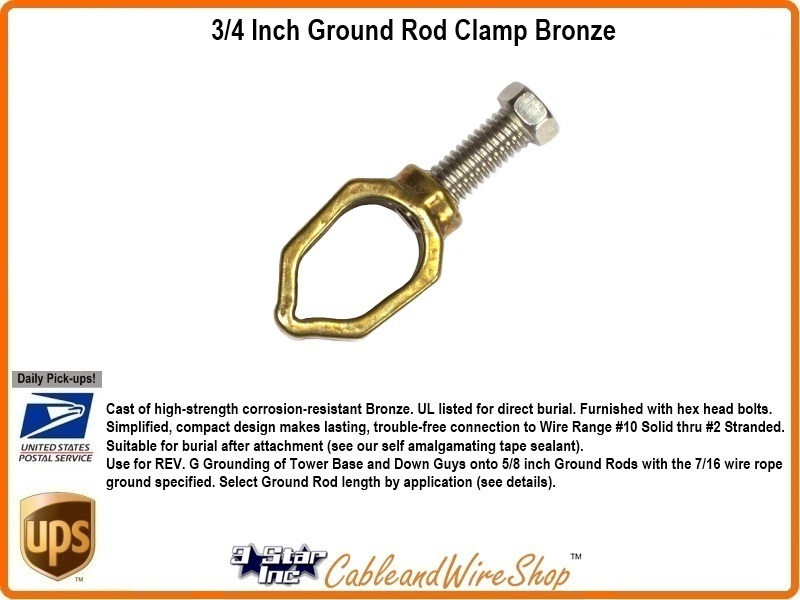 Simplified, compact design makes lasting, trouble-free connection to Wire Range #10 Solid through #2 Stranded. Suitable for burial after attachment (see our self amalgamating tape sealant). Use for REV. G Grounding of Tower Base and Down Guys onto 5/8 inch Ground Rods using the 7/16 wire rope ground specified. Select Ground Rod length by application (see details).